I had to google who wrote the words “necessity is the mother of invention”. It was Plato. And so I come to this post. 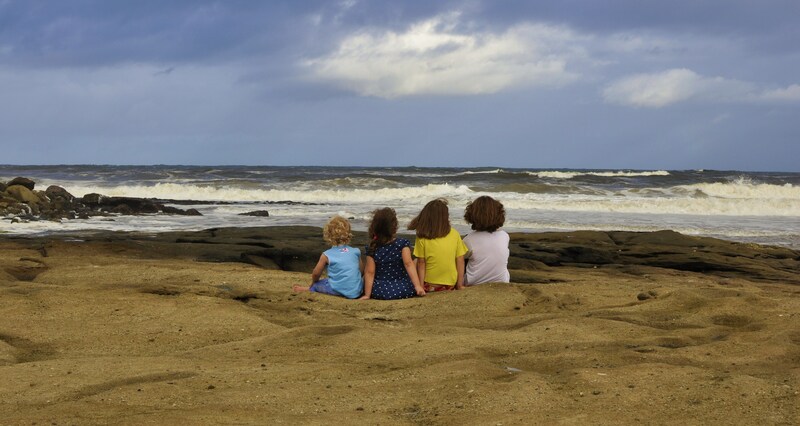 This post started on the last week of the school holidays when I hired out the latest TinkerBell movie on DVD (Secret of the Wings) for the children to watch on a lazy day. As is usual at our place, the children were inspired by the movie and it filtered into their play. Out came the fairy dolls and late in the afternoon, they ran down to our magical tree in the backyard. Something happened between finding the fairy dolls and the journey to the tree. There was a problem. You see, my daughter (my seven year-old) couldn’t find the skirt for her fairy. The missing skirt would be the size of a fingernail and I didn’t have time to help find it right then, knowing very well these things have the tendency to disappear. “Can you just pretend there’s one? No?” I was trying to pacify her. “Look, she has painted undies on. It can be like togs.” I tried again. “I’ve looked everywhere.” I almost fobbed her off again until I looked at her face: crestfallen. Paper and sticky tape: I didn’t think would cut it. Think, think, think. Material taped on would work better than paper. It may have been the material train of thought that led me to recall our Christmas and our Advent Calendar. I remembered a few organza gift bags left over from the project. I trimmed the bottom of the mini bag to fit beautifully over the fairy doll as a skirt. Bam! It took me less than a minute. It was one of those YES! moments in parenting. You know the ones when you do something awesome and unexpected and the kids think you’re a hero? And so, necessity in this case was the invention of an after school activity. 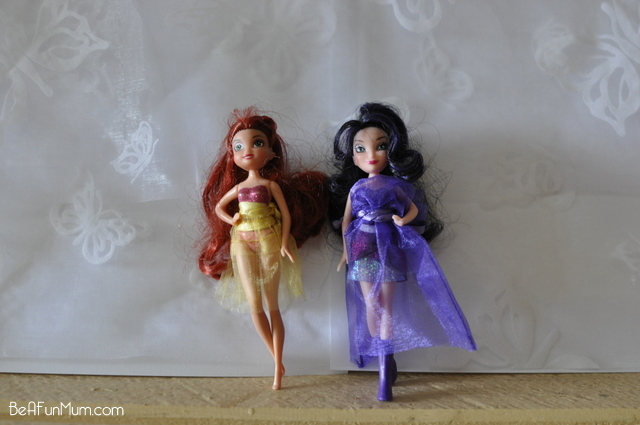 When I was last at Spotlight, I purchased coloured gift bags and glue on gems so we could make more clothes for different dolls, because it was so (so!) easy and fun. 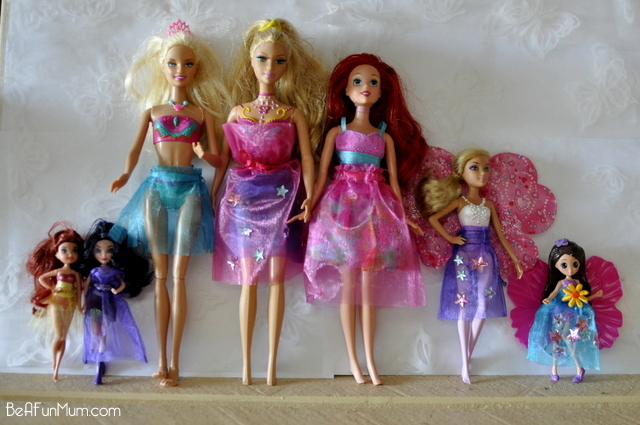 My two middle daughters (7 & 9) and I tried a variety of skirts and dresses for different dolls. 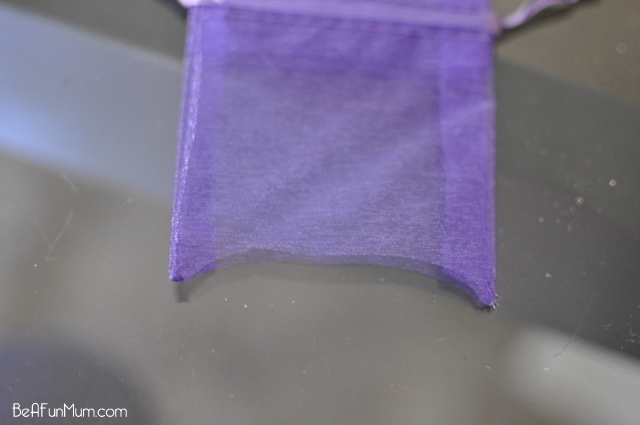 Trim top and bottom of the gift bag (make sure you don’t cut into the stitching that holds the ribbon at the top). 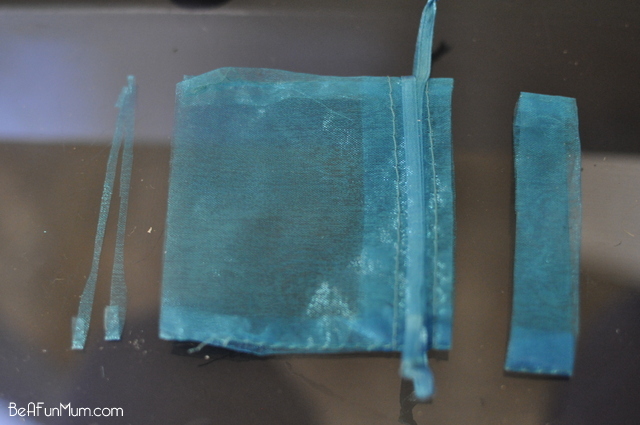 When trimming the bottom of the bag, leave the side stitching in tact by starting the cut slightly in from the edges. This minimises the side stitches running. 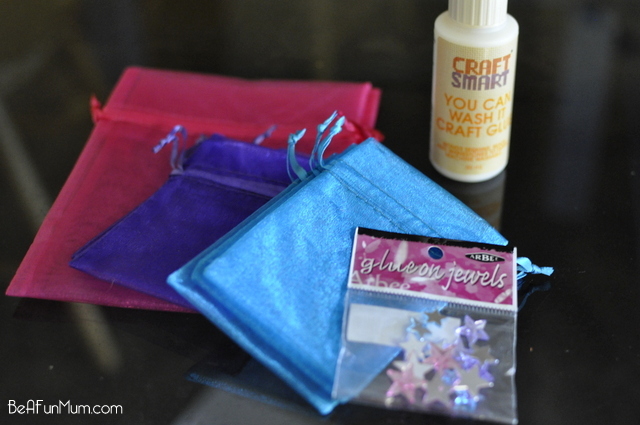 Use glue to affix gems to the bag (use a piece of baking paper between the bag so the glue doesn’t transfer to the back). Remove the paper carefully and hang open to dry. 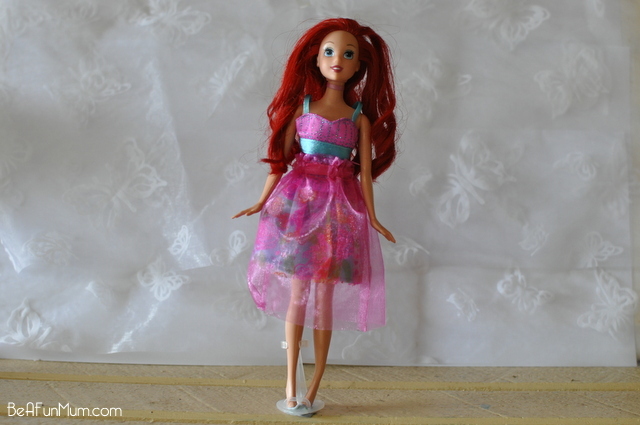 Once dry, put the skirt on the doll, pull the ribbon tight around the waist and tie at the back. Trim the top of the bag (above the stitching) and the bottom of the bag. Cut vertical strips around the skirt. Done! That takes under a minute. Trim the bottom (only) of a 10cm x 15cm bag. Place under the skirt or dress and pull the ribbons tight around the waist. 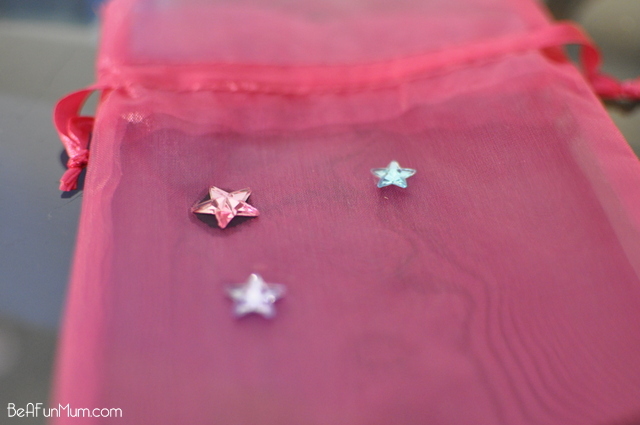 Fold the top section of the bag down over the ribbon before placing the dress/skirt down (this gives it the fullness). 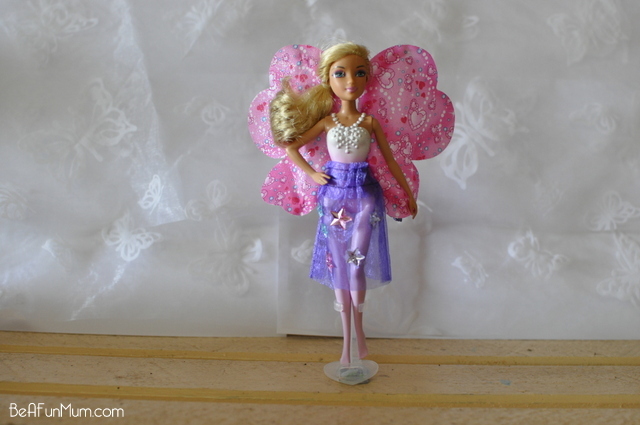 Same instructions as 1 (Sparkly Fairy Dress/Skirt) but without the gem decoration. Same instructions as 3 (Petticoat), so don’t trim the top section above the ribbon as this becomes the top section of the dress. 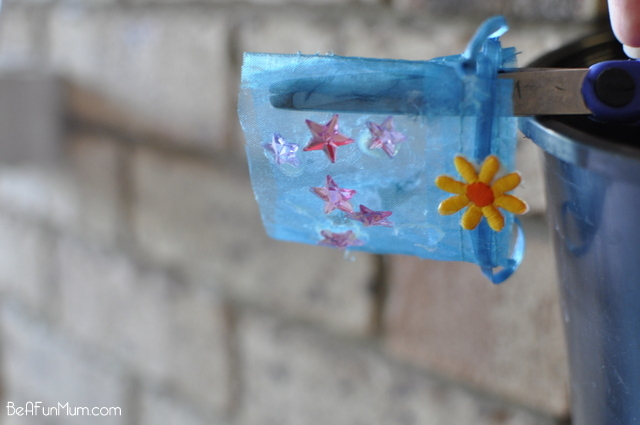 We decorated with a few gems and used a mini bag (in a different colour) as an under skirt. 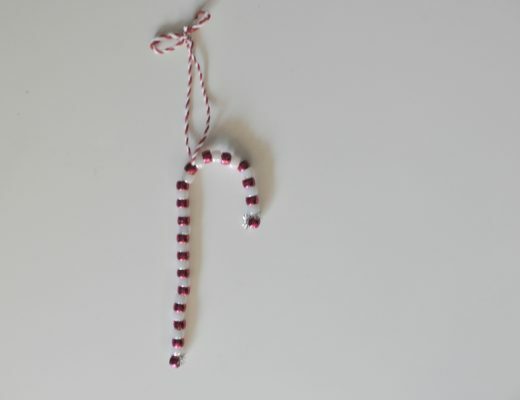 Once dry, slip on doll and tie ribbon around the waist a few times. 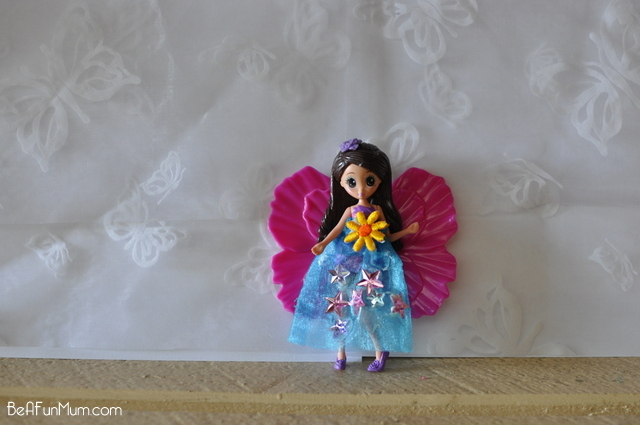 We used a mini bag (7cm x 10cm) in the same way for the purple fairy. Kind of embarrassing how much I enjoyed doing this with the kids. I can see how your daughters would think you are a hero, ;-). Ha! I love (love!) hearing from mums from around the world. It’s just so awesome. Oh, yes, it’s very Summer here. Wouldn’t mind me a bit of snow right now. So glad you came to visit me here. Don’t be a stranger. Just went over to have a look! Love it! Such a great idea. 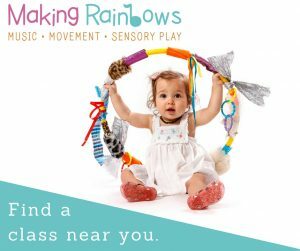 Hi from Holland…like the Austrian comment above, we’ve also been playing barbies recently and getting creative, this is a great idea to try thanks. Just yesterday, we were watching Cinderella when my 5 year old insisted she needed to dress up immediately afterwards and needed some “glass slippers”. I really enjoyed the teamwork of coming up with the solution for this – I helped her search through the shoebox for the most suitable pair (she chose black school type shoes as they had a bit of a heel! ), and I grabbed some glad wrap to make them “shiny like glass”. No mama, get that really shiny stuff, that’s even better she suggested….alfoil! So together, we wrapped the front part of her shoes in alfoil, and her sisters, and they were very happy little Cinderellas! 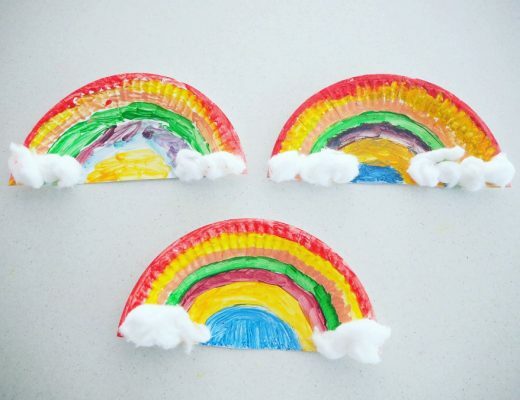 My fairy princesses around here will want to get their little friends ready for the ball! Hahaha I’m so pleased there’s someone else out there doing things like this. My girls aren’t into Barbies so over the years I’ve made tutus & fancy dresses for dinosaurs & Schleicht horses, a hawking hood for a stuffed bird & a baby Ewok out of felt complete with a snugly so it’s Mum could carry it around. People usually just look at me like I’ve taken leave of my senses but I love that my girls are imaginative & try to facilitate that whenever I can. I only wish I’d thought about the organza bags a few years back. Whoo hoo! Hello fellow crazy mum. Ha! Love it! My eldest daughter was never into Barbies either but she loves stuffed toys. I love it! 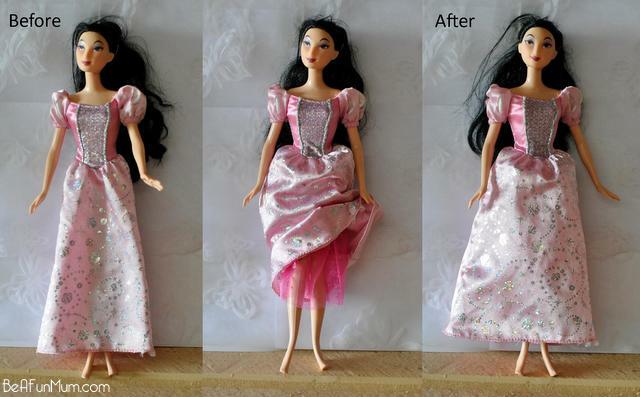 That’s a much easier way of making Barbie clothes than I used to do. As a 10-11 year old I got out the needle and thread. I like your way better! Sure do, my daughters wardrobe is pretty much only homemade stuff. I also have a small F/B page and do Markets everynow and then. 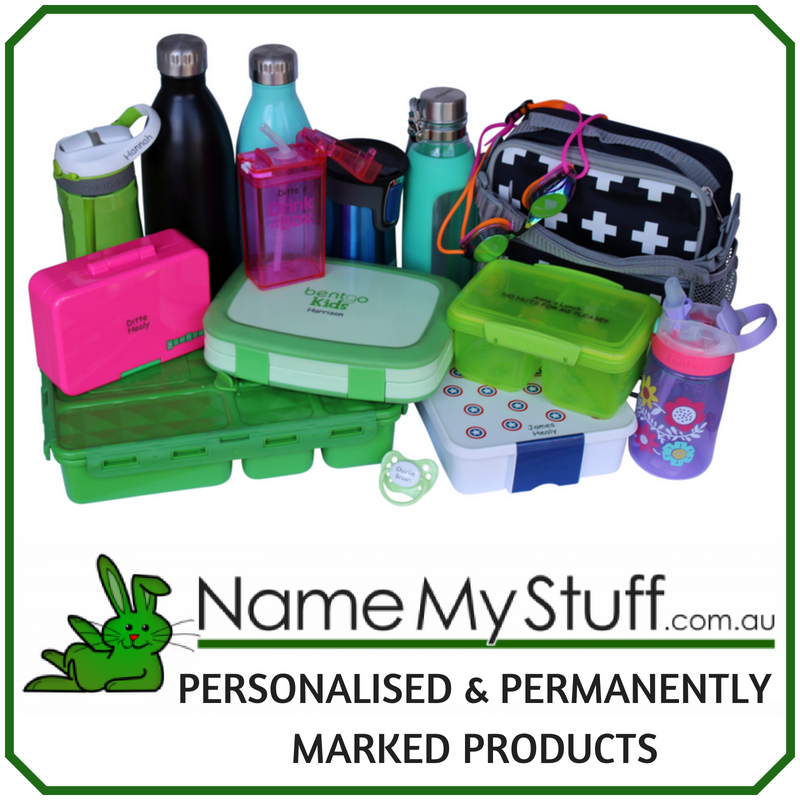 https://www.facebook.com/youandmeathome . Can’t stop sewing things for her!! This looks like so much fun and easy to do for various ages. I will be giving it a go with my girls who love craft, thank you for the inspiration. Thanks Lenka. Hope it’s a hit! My husband and I are trying for children, and I was thinking the other day ‘I don’t want girls, the doll’s clothes would be too hard to keep track of’! You’ve given me confidence to have little girls, haha! Hi Katy, don’t worry — a mom grows with her challenges, ;-). Love this Kel – my girls can manage this one endlessly to satisfy their fashion designer desires without needing to get out the sewing supplies for a change – shared on FB! Oh, yes, a fashion design show is a MUST! Haha. I don’t think gift bags come in adult size, do they? LOL. You are a crafty legend! You can guest post something like this on my blog any day! I am sooooo impressed! Hey there Kelly! I love it and I am going to give this a shot. My daughter an I have done barbie dresses with socks. NO SEW too! You can just cut the end off and design with v neck and so much. One my daughter has is so cool looks like a purple sweater dress.! Thank you cant wait to try this! 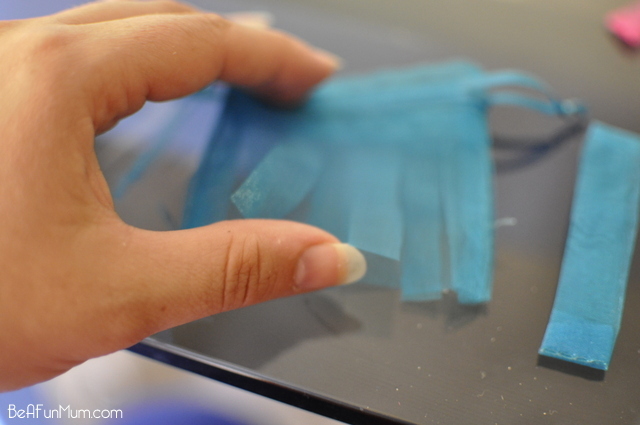 Does the organza bags fray where it has been cut? Hi. I’m not a Mom but my little sister is really into barbies and dress-up. So i thought this idea was absolutely perfect! I’ll be giving her barbies a new look pretty soon! Thanks! I think she will love it then! What a lovely sister you are! I’m making these with Pebble now 🙂 Thank you!